As a researcher in medical image analysis, I can’t overemphasize the importance of images. The information these images reveal about the body, both internally (i.e. MRI) or externally (i.e. Dermatoscopy), is extremely valuable. I am amazed when I notice a tumor shown clearly in an image. Sometimes, the image needs some processing, but at the end of the day the medical image was the source for that information. Tumors are not the only item shown through medical images, obviously. Other issues, such as bone fractures, are diagnosed using images. Medical image analysis is an essential part of medicine and many conferences and journals are specifically geared towards this type of domain. 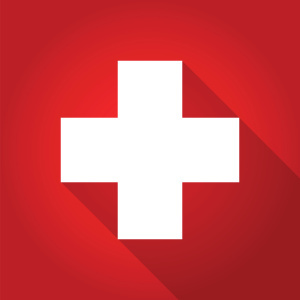 In this series, I’ve focused on applying the Ruby programming language to the medical domain. 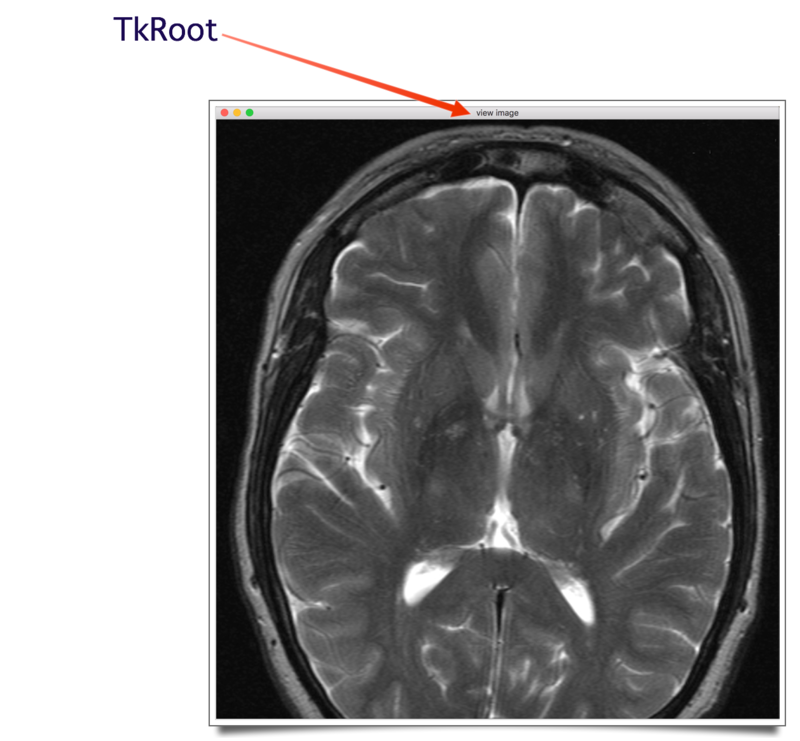 In this article, I will show you how we can use Ruby to view and encode a medical image. Before getting too far down the path, it is important to give a brief overview of Tk, which is an essential concept for our work in this article. Tk is a free, open-source, cross-platform widget toolkit that is used for building graphical user interfaces (GUIs) in different programming languages, including Ruby. In other words, it provides us with GUI widgets like text, button, label, etc., which we need when building a desktop application. Tk is part of the Ruby standard library. ImageMagick is a library and set of command-line tools that provide the ability to manipulate various image formats. Now that we have gone through the essential concepts, let’s go ahead and setup the environment. We need to install the tools introduced above: Tk, ImageMagick, and RMagick. I’m currently working on Mac OS X, so instructions will be based on this OS. Don’t worry, if you are running a different OS, you can find the instructions for installing Tk here. On Mac OS X, ActiveTcl is the easiest way to get Tk. ActiveTcl includes Tcl, Tk, and other libraries. You can directly download it from here. Follow the setup wizard and you are all set! Go ahead and save it to your hard disk as brain.jpg. Before I show you the output, I want to go through some issues that you may run into when dealing with Tk. You might ask why did we install ImageMagick and RMagick, especially that we didn’t make use of them in the code above. As you can see here, the standard Tk only supports the gif image format, and as you noticed, we are working with a jpg image. In this case, ImageMagick and RMagick come into the play. Using RMagick, we can convert a jpg image to a gif image, and then use the latter format in our program. So, you will be reading brain.gif instead of brain.jpg. It’s worth noting that you could also use the ImageMagick command-line tools for this task. Say your script had to transfer this image across a network, like in an email. You might get surprised when you realize that your file has strange characters on the other side! An explanation for this might be that you were trying to send your file in its raw bits and bytes format, while the media used was designed for streaming text. But don’t worry, there is actually a tool to avoiding such issue. It is Base64 encoding. I will show you how easy it is to use Ruby to Base64 encode and decode a medical image. Base64 is a way that 8-bit binary data is encoded into a format that can be represented in 7-bits. This is done using only the characters A-Z, a-z, 0-9, +, and /, with = used to pad data. Using this encoding, three 8-bit bytes are converted into four 7-bit bytes. Base64 is very important for binary data representation, where it allows binary data to be represented in a way that looks and acts as plain text. This makes the data more reliable for storage in databases, sending in emails, or used in text-based formats, such as XML. Base64 is basically used for representing data in an ASCII string format. Base64 encoding is the process of converting binary data into a limited character set of 64 characters. As shown in the first section, those characters are A-Z, a-z, 0-9, +, and / (are they really 64 characters? Count them.) This character set is referred to as MIME’s Base64, and is considered the most common character set. It uses A-Z, a-z, 0-9, +, and / for the first 62 values, and +, and / for the last two values. The text to be encoded is converted into its ASCII equivalents (i.e. a:97, b:98, etc). Look at the ASCII table here. The decimal values obtained in the previous step are converted into their binary equivalents (i.e. 97: 01100001). All the binary equivalents are concatenated, obtaining a large set of binary numbers. The large set of binary numbers is divided into equal sections, with each section containing only 6-bits. The equal sets of 6-bits are converted into their decimal equivalents. The decimal equivalents are finally converted into their Base64 values (i.e. 4: E). The decimal values and their Base64 alphabet can be found here. Each character in the string is changed to its Base64 decimal value. The decimal values obtained are converted into their binary equivalents. The first two bits of the binary numbers are truncated from each of the binary numbers obtained, and the sets of 6-bits are combined, forming one large string of binary digits. The large string of binary digits obtained in the previous step is split into groups of 8-bits. The 8-bit binary numbers are converted into their decimal equivalents. The decimal values obtained are finally converted into their ASCII equivalent. >> Returns the Base64-encoded version of bin. This method complies with RFC 2045. Line feeds are added to every 60 encoded characters. >> Returns the Base64-decoded version of str. This method complies with RFC 2045. Characters outside the base alphabet are ignored. Opening the brain_decode.jpg image, notice that it’s the original image brain.jpg we encoded in the first step.